Kanye used his Yeezy Season 4 fashion show in New York on Wednesday (07Sep16) to announce the news, also telling the audience he has signed Desiigner to his G.O.O.D. label. Following the announcement Twitter went wild, with many speculating Kanye signed Tyga as a favour to sister-in-law Kylie Jenner, who is dating the rapper. Kylie's half-sister is Kanye's wife, Kim Kardashian. The signing will be welcome news for Tyga, who has had several financial issues in recent months, including more than one of his fleet of luxury cars being repossessed amid claims he had fallen behind on payments. Despite fans alleging Tyga's relationship is the only reason Kanye signed him, the two stars do have musical history. Kanye was the executive producer on Tyga's 2015 release The Gold Album: 18th Dynasty, while Tyga wrote some songs for Kanye's most recent album. However, they are believed to still be in the bank, having not been used on his latest release The Life of Pablo. “We've actually been working on a few joint stuff. I was working with him on his album. He's got some monsters," Tyga said during an interview with Los Angeles radio station Real 92.3 earlier this year (16). 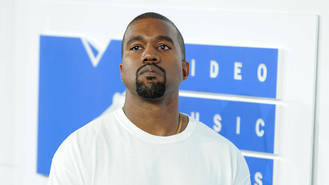 Kanye was also responsible for helping build bridges between Tyga and his former collaborator Drake, after the pair fell out when Tyga labelled the Canadian a "weirdo" and a "fake". "Kanye put us in a room together when he was doing his fashion show," Tyga said. "I didn't even know he was there and we saw each other and gave each other a hug. "At the end of the day if somebody is not taking anything away from you, like family, it's not affecting your family or taking away your money, you shouldn't have a problem with somebody."